Can cola harm your teeth? Does regular consumption of soda cause weight gain? These issues are concerns not only for consumers but also scientists as well. Their data suggest that the many “horror stories” about the dangers of soda are not fiction. True. “Cola contains a lot of orthophosphoric acid and sugar. Drinking a big amount of this drink can really corrode enamel and cause tooth decay” – says leading dental implant specialist in NYC, Dr. Navid Rahmani. Moreover, as a result, not one tooth can be damaged but several (or even all) at once. In that case, if you neglect regular visits to the dentist and poorly care for your teeth, the condition of the teeth may deteriorate even more. False. 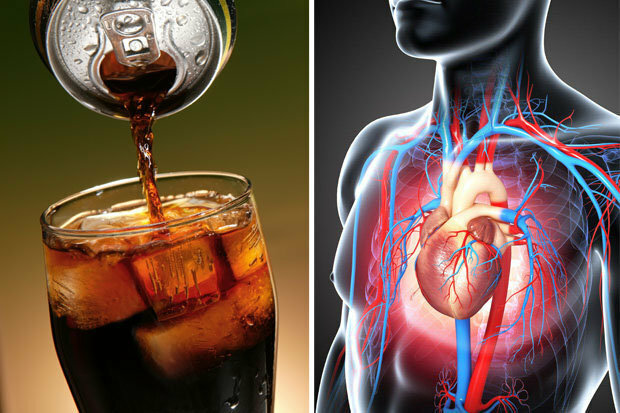 Soda does not corrode the walls of the stomach and of course, it cannot make a hole in it – the acidity of the cola is lower than the acidity of the gastric juice. Scientific evidence that cola is capable of provoking the development of an ulcer has not yet been obtained. Maybe true. Soda contains a lot of sugar, and an excess of sugar, as you know, can trigger the development of obesity, diabetes and heart problems. In general, if you drink a lot of sweet soda drinks, the risk of weight gain will increase significantly. However, some experts believe that it is not only the sugar contained in cola and other beverages – a sedentary lifestyle and unbalanced nutrition, in general, contribute to gaining extra pounds. A journalistic investigation conducted by the staff of the New York Times showed that some of the experts who stated this worked for Coca-Cola. It became known that the producers of popular beverages, Coca-Cola and PepsiCo, sponsored companies that worked in the health sector (some of these companies took money from the two giants at some point). False. It may seem that drinks, which instead of sugar contain aspartame or other sweeteners, do not have the disadvantages which are inherent in drinks with sugar. This is not quite true. Scientists have already shown that aspartame and other artificial sweeteners increase appetite, and therefore the use of Zero Cola won’t lead to weight loss, but in fact the contrary. Aspartame is also suspected of provoking the development of diabetes, and may also be responsible for the occurrence of cancer. Due to possible carcinogenicity of aspartame, PepsiCo decided to stop using aspartame, replacing it with sucralose mixed with acesulfame potassium. It is not excluded. Cola lovers (those who drink at least two bottles of soda every day) have a higher risk of developing some forms of cancer than those who do not drink soda at all. Cancer of the gallbladder occurred twice as often, and cancer of the bile duct – 79% more often in those who regularly drank soda. Scientists could not figure out the connection between the increased risk of cancer and consumption of sweet soda, but it is clear that people who regularly use cola are at a higher risk. In general, all this indicates that it is better not to abuse sweet soda, and regular use of it in large quantities can actually have a negative impact on health. Even if you do not dare to give up coke after reading all these facts, at least you know about the possible risks. It turns out that headaches, which periodically occur without a reason, may appear just because of the presence of diet cola in nutrition. The fact is that chemicals that are in the artificial sweetener aspartame can alter brain chemicals, as well as nerve signals and reward systems, which subsequently lead to headaches, anxiety, and insomnia (according to a European Journal of Clinical Nutrition review). Thus, in a study conducted in 2013, it was found that in rats that were fed with diet cola, cell and nerve endings were damaged in the upper part of the brain. ← How to Buy Cheap PCB Assembly Services? What is Garcinia Cambogia HCA and How it Works?